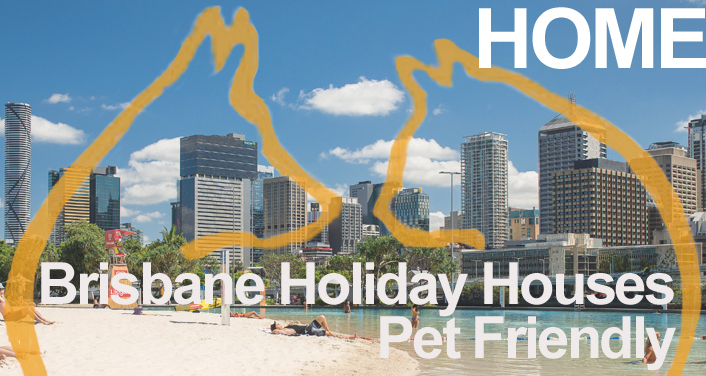 Brisbane Holiday Houses is pet friendly in most of the houses. We have strict terms and conditions ( see terms and conditions ) when bringing your dog or cat. After each departure the carpets are professionally cleaned in the case the furry companion has not read the terms and conditions. You will never know a pet has stayed on the property as we are super vigilant to look after our houses as 98% of guests do not have a pet. We ask you remove all animal hair if they have ventured inside and all "backyard mess". Your pet is welcome and enjoy your best companion on holiday. Make the most of the dog friendly parks close by and the esplanade where it is "dog socialising' every morning and afternoon.